Essential RV Camping Hacks to Make your Adventures Great! Recreational vehicles are a must-have for adventurous camping gurus. However, RVs ranging from fifth wheel trailers, toy haulers, motorhomes and campervans all come with several drawbacks. Limited space, poor waste management systems and exposure to outdoor weather are just a few. Fortunately, there are a couple of checklists and hacks to help you get the best out your RV camping trip. Top RV must-haves (a rookie checklist to make sure you have everything sorted). RV camping tips (practical, no-brainer advice from RV camping experts). RV storage hacks and tricks (that will make you appreciate the magnanimity of proper organization). So you have just bought your first RV and are unsure as to what makes a wholesome RVing lifestyle? A straightforward approach to this is to ensure that you have the essentials detailed below for the best motorhome life and camping experience. You will require a lot of water for cleaning, drinking and cooking, therefore make sure to store and refill a lot of water in your RV. A drinking water hose and water regulator allow for easy connection with the spigot, in the campsite or RV Park, to your water system. Most RVs will have a black tank flush. Therefore an extra water hose will come in handy. The water regulator maintains a regular pressure and protects your RV fittings and water lines from damage. An RV water filter lowers chlorine levels in water for good-tasting, clean water. Storage of water in an RV can be made easier by using collapsible water carriers, water bags, hydration bladders and water bottles. Other water treatment, filtration and purification methods include drops, ultra-violet sterilizers, squeeze filters, gravity flow filters and handheld pump filters. Safe wastewater disposal is a crucial concern for every RVer. In an effort to promote public health and protect the environment, some cities like Los Angeles offer free dump sites for RV owners to safely dump their waste. The whole process can be messy and unsanitary thus the need to invest in necessities like a sewer hose, sewage tracks and an optional clear sewer hose fitting. Notably, untimely disposal of waste water will lead to an overflow of the waste in the black tanks and inevitably leakages and bad odors. A sewer hose slightly longer than 20 feet will be sufficient to reach the dump site/station while a sewage track will help maintain the sewage line off the ground. An optional 45 degree clear sewer hose fitting gives a clearer view that there is no more waste going through the sewer hose. To counter bad odors, you can implement quick solutions like using a toilet deodorant, pouring a mix of water softener and detergent on the black tank’s walls and/or using a baking soda and vinegar solution to neutralize bad smells. Make sure to keep your toilet papers dry by storing them in containers or tissue boxes and of course stock up on more tissue before your trip. Amperage equipped for your RV may be unavailable at the campsite. Dog bone electrical adapters can be quite the lifesaver in such a scenario. If your RV has a 50 amp rating, you will need to get a 50 amps to 30 amps electrical adapter to use in a 30 amps rated campsite hookup. An extension cord with the appropriate amperage will also be necessary to access far away outlets more conveniently. Refrigerator LP systems need to always be level in order to function; the same goes for your RV’s fridge system. Motorhomes can be secured in place using their transmission systems and parking brakes whereas non-motorized RVs like travel trailers, teardrop trailers among others can easily roll away if unclamped. Levelling blocks are an inexpensive way to keep your rig level even if your camping ground isn’t. Wheel chocks on the other hand ensures that your trailer won’t roll away. Other cheaper options include 2 by 4 wood blocks and cement blocks. In case of any emergency either on the road or at the campsite, it is always advisable to prepare a few items beforehand. A first-aid kit with bandages, gloves, anti-bacterial cream and such will help address any injuries or accidents. Water purification tablets and water bottles provide you with safe and clean water to drink when away from the RV. A tool box also helps when doing minor RV servicing and repairs. Other essentials especially for camping and out-of-RV activities include flashlights/headlamp, pocket knife, compass/GPS/map, whistle, torch ibuprofen, back-up batteries and a fire starter like flint & steel. A home on wheels will always be prone to breakage of items, beverage spills and/or falling of drawers or other household appliances in your RV. Items like clothespins, clotheslines, chip clips, bungee straps, towel rods, nametag holders, tension rods and suspension rods can help secure things in place. Clothespins can be used to secure trash bags and laundry while clotheslines can be used to hang wet towels and laundry, and keep cabinets closed while in transit. Suspension rods in the shower are also a great alternative for hanging damp clothes. During transit, bungee straps with hooks are best for drawer handles while those with loops and a ball are great for cabinet doors. Towel rods are also suitable for holding bath products in place. Non-slip liners for lining your shelves and drawers will also help keep things in place while RVing. You can also place your wine bottles in plastic mesh sleeves to avoid them knocking onto each other. First you will need to install a heater/AC unit if it is not already present before trying out other practical tips. Always install floor mats as they are not only easy to install but will also provide you with comfort and the much needed insulation. Using bubble wrap or Styrofoam on your RV windows also provides insulation and protection from cold weather. A vent cushion or vent fan can also help in reducing heat loss and controlling airflow. Lastly, you can also use unopened anti-moisture packets to absorb excess humidity. For family and friends, RV camping is a favorite pastime activity. Amazing scenery, making of memories, enjoying quality time with family and tons of fun activities make up for a great RV camping experience. The RV camping tips detailed below will help you counter any potential challenges regarding the matter. Owing to the thin walls and poor insulation, sleeping in an RV can be cumbersome to say the least. This is especially apparent in folding and pop-up trailers. RV campers are advised to invest in an RV with the best insulation as is possible, whether you plan to use it for a campground or for boondocking. A better insulation will translate to a quieter RV and livability in various climates, and in extension a good night’s sleep. With regards to noise reduction and improving insulation in your RV; doors, vents and windows are some of the biggest stress points. Double pane windows plus use of cheap materials like bubble wrap, Styrofoam on windows as mentioned earlier, can help alleviate the problem. In most RVs, the bedroom is situated at the front. With considerations that fifth wheels are reversed into a campground, sleep quality may be compromised due to road noise and privacy concerns. While this may be limited to a fixed floor plan, you may add appropriate features or overhaul the design to address this need. The location in the campground to park your RV is also a key concern. Obviously, you should avoid noisy areas like the park’s entrance, close to the freeway or near the pool or playground. Also avoid other high traffic areas in the campground like dumpsters, bath houses and so on. Arriving at the camping site early will mostly give you a couple of parking spots to choose from. Towards the back of the campground is usually ideal as you will not be woken up by headlights as RVs exit and enter. Other minor but effective ways to improve the quality of sleep in an RV include using a decent ventilation system for airflow in the RV, adjusting bedroom lighting as needed and lastly, using breathable and comfortable bedding. Investing in a sound machine to reduce nighttime noise and a quality mattress may also help in improving your sleep. To get extra sleeping space in your RV you can get collapsible bunk beds, hammocks, cab bed, murphy beds or a closet nursery for your baby. A portable generator or a motorhome solar panel kit offers a timely backup battery and charging point for your RV and tech gear. Make sure to bring along the necessary power adapters and extension cords to use with the campsite outlets if any. Most camping grounds have wireless internet connections available, however reception may not be as good in the RV. Therefore, a Wi-Fi signal booster can come in handy in improving on the reception in your RV. In places where there’s poor or no cell reception, two-way radios aka walkie talkies can offer a simple means of communication around the camping site. As enjoyable as RV camping will turn out to be, your peace and tranquility may be interrupted by bugs and pests. RVs have plenty of entry points and places to harbor these unwanted guests and thus the need to take preventative measures. Keeping your RV clean is also an effective way to keep rodents, ants, roaches and insects away. Also remember to keep your RV doors and windows closed at all times to avoid animals like snakes creeping into your home. Insect repellents sprayed on the doors, windows and work areas of your RV can help prevent bugs. Repellents containing DEET (diethylamide) are very effective in mosquito bite prevention. Placing fabric softener dryer sheets in clothing drawers and kitchen cabinets helps to keep off spiders and other insects mainly because of their fragrance. Using baby powder, chalk, talcum powder or Gorilla tape around your RV’s entry points prevents ants from invading your home-on-wheels. For bees, hornets and yellowjackets, soapy water is the most recommended way to get rid of them. Propane usually attracts wasps. Flea collars will help avoid wasp influxes, just place their cut ups in your RV compartments and you will be set. Mice are also likely to invade your RV, make use of Irish Spring soap, oil of peppermint, glue/snap traps and Bounce fabric sheets as they are known to repel mice effectively. Mothballs are primarily for keeping off moths and silverfish but can be just as effective in repelling mice, snakes, scorpions and spiders. For flies you can spray a 50/50 mix of water and Pine-Sol around your camp chairs, counters, picnic table and awning. You can also place cloves and lemons on kitchen counters to repel flies. Pets can also be a nuisance. For instance cats constantly scratching your precious furniture, curtains or carpet and dogs chewing away electrical wires or other valuable items. Cayenne powder and hot pepper sauce are a harmless deterrence for cats and dogs respectively. Just apply to the item in question and your pets will keep off of them. As a vehicle your RV will require working taillights, clearance/side markers, guide lights as well replacement bulbs and accompanying parts. To spruce up your home on wheels you may get decorative interior lights, fluorescent lights, awning/porch lights and reading lights if needed. Lighting helps set the ambiance of your home on wheels. Fluorescent lights are excellent if you need extra illumination for both your RV exterior and interior. On the other hand decorative lights will help personalize your RV camping experience. Name tag holders can be used to hang some decorative lights from the awning. To improve on the visibility of your RV steps, add strips of glow-in-the-dark tape to them. To keep the electrical usage low is especially crucial when your RV camping entails a lot of boon docking (off grid camping). Low wattage LED lights offer clean, bright light without draining your battery or solar reserves. RV Interior/Exterior LED lights tend to be more expensive to buy than traditional bulbs, however they have a longer life span and are more energy efficient. A headlamp or torch is ideal for quick nighttime activities. Motion activated soft lights are also much better when you want to get a glass of water from the kitchen or go to the bathroom without disturbing anyone else’s sleep. Essentially, food for RV camping trips should be shelf-stable, quick and easy to prepare, and energy rich. Apart from buying a good quality and efficient table top camping stoves, foods that require a little cooking time will translate to a low cost of propane or relevant fuel. Canned foods like tuna, chicken and beans make for a quick snack or can be used for many different meals. Quick snacks for RV camping include Trail mixes, beef jerky, bars, nuts and dried fruit among others. To save on cooking time always pack instant meals such as soups, pasta, noodles and not forgetting instant beverages like instant coffee packs and tea bags. You can also check out some great RV camping food recipes here. Sandwich making foods are also a great option as they are quick to make and the ingredients require no refrigeration. They include bagels or packing bread, peanut butter, jam and/or honey. Coupled up with eggs, bacon or sausages, they can make for a quick breakfast meal. Preparing all your meals before heading out for your RV camping trip will save you on fuel and time. Pre-cutting and storing your fruits and veggies will provide you with fresh food as you travel. For scrambled eggs, prepare the eggs beforehand by cracking them into a salad shaker or a mason jar. For pancakes utilize the shake n’ pour technique that involves prepping the dry mix in advance and storing it in a jar. Pre-made pizza crust is also a timesaving meal to try on your next RV camping adventure. If you opt on perishables then a good investment in a cooler or fridge must be considered. A fridge will drain your battery or solar reserves therefore remember to utilize electricity hookups in the campgrounds. To prevent food contamination always separate hot foods from cold ones. The capacity of your RV’s water storage tank and general water usage will mostly determine how long you can go before requiring a water hookup. Basically, the tank should provide sufficient water for 2 to 3 days before requiring a top up. Most campgrounds have water stations where you can top off your storage tanks for free. Make sure to have two hoses, one for hooking up to the fresh water storage tank and the other to the black tank flush. For drinking water savvy RVers recommend buying bottled water as the tanks can be easily contaminated. Alternatively, you can get mobile water filtration, purification and treatment appliances for on the go drinking water. There are separate storage tanks for your grey water and black water. Black water is from the toilet while grey water is from sinks and showers. A 24 hours to 48 hours window is enough before emptying the tanks. Make sure to utilize sewer hookups in campgrounds or dump stations to avoid odors and other mishaps. Dumping the black water first before the grey water helps in cleaning out the waste from the hose pipe. When it comes to fuel efficiency, size isn’t the only thing that matters. Lighter-weight motorhomes with a compact and aerodynamic design will always deliver more miles per gallon as compared to their counterparts. Thanks to a growth in popularity of RVing, more manufacturers are focusing on delivering fuel efficient RVs than ever before. Generally, diesel powered RVs cost less than gas fueled ones. While fuel isn’t as big as an expense in RVing as compared to food, lodging, vehicle payments and RV servicing, RV camping aficionados have come up with a few tips to help save on fuel. 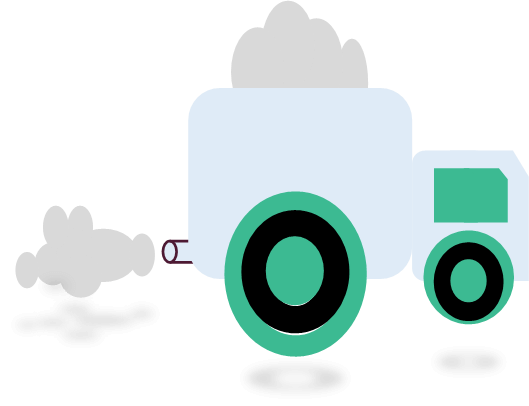 They evolve around reducing the overall load, travelling shorter distances and carrying out regular maintenance. The US has very many campgrounds spread out across the nation that means you don’t have to travel far for a perfect RV camping experience. You can also choose to stay longer in one place. Most RV parks and campgrounds are by themselves travel destinations offering entertainment centers, hiking trails playgrounds, convenience stores and so much more. Avoid adding unnecessary weight to your RV. For instance by packing lighter, getting portable water filtration systems in place of frequent topping off of fresh water tanks and of course emptying of holding tanks before heading out. You can also purchase some related RV camping materials on site for a lighter RV instead of bringing them with you. Regular maintenance of your RV will also undoubtedly improve on fuel efficiency. This includes inflating tires properly, tuning up the RV’s engines and other routine checks. Whether you are boon docking or setting your RV on the campgrounds, it is important to take preventative measures to counter the effects of issues like weather changes, fires, theft and so on. Spot checking your electrical system and having a technician replace any worn out or exposed wiring. Transmission fluids are highly flammable, therefore make sure there are no leaks and repair them if present. Plan out an escape route and make the occupants of your RV aware of this information. Fire extinguishers, keep them up to date and familiarize yourself on how to use them properly. Having multiple fire extinguishers is also a good idea in addition to letting your passengers know where the extinguishers are placed. Install smoke and carbon monoxide detectors, and regularly inspect them to see if they are working as expected. Attend to your camping stove and never use any cooking appliance for heating purposes. Make a habit of always locking your RV’s windows and doors. Motion detecting lights can also help scare away would-be intruders. LoJack recovery systems and Safes are a fairly expensive but effective way to protect your rig and other valuables from theft. Campground versus boondocking, a campground will always be safer as compared to the latter. Travel checks and credit cards are the best form of money for on the road use and will lower your chances of getting robbed. Learn some basic first-aid or CPR techniques and keep a well-stocked emergency kit near you in case of anything. To counter any changes in weather always pack extra clothes in your RV and ensure the rig is well insulated and ventilated. 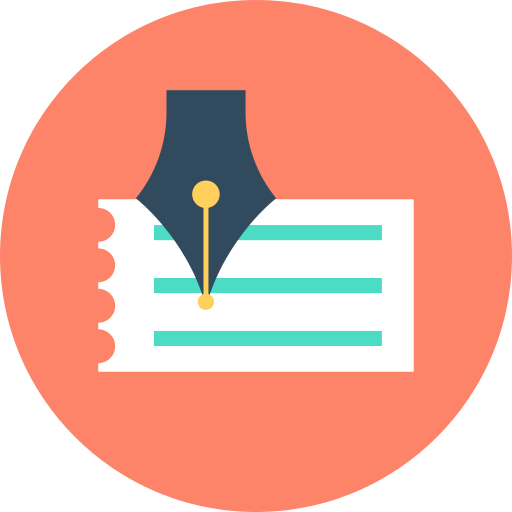 Write down specific details like name, address, spot number and phone number about the campground on a dry erase board and place it somewhere accessible. This information comes in handy when you need 911 assistance to where you are. Space is one of the biggest limitations when it comes to RVs, meaning even less supplies for your camping trip. It gets even worse for smaller-sized RVs like campervans, tent trailers and so on. Luckily, there are several storage hacks and space saving techniques to go around this problem. Hang everything and place the rest in containers. Organization is at the core of every design of an RV interior. To this end you get dressers, RV closets, bathrooms, dressers, furniture, kitchen/living spaces and accompanying cabinets to work with. Some RVs also come with storage bays accessible from the outside of the rig. The storage ideas and hacks detailed below can help you make the best out of your limited RV space. Even though most RVs have a combined kitchen and living space, we will tackle the kitchen area first. Essentially you want a kitchen free from clutter where you can prepare meals easily and quickly. There are a few tweaks you can apply to achieve this. A dish cradle allows for stacking of dishes in a vertical manner. They maximize your cabinet space and allows you to easily take off your plates. A paper plate dispenser is another space saver plus it cuts down on your dishwashing load. Nesting utensils is another great solution to save up some cabinet space. Stackable nesting bowls and collapsible kitchenware like colanders, pots and tea kettles are a must have for any RV. A wall-mounted magnetic strip can help you store some kitchen ware like knives and cutting board when not in use. A peg board also gives a convenient storage space for pots and pans. Need more organization in your kitchen cabinets? There are free-standing drawer units in the market that can help with that. Always secure the drawer units with bungee cords to keep everything in place when on transit before use. You can also add shelves and/or under-shelf baskets in the cabinets for more usable storage space or place expandable shelves stands on your countertop. To keep things in place, you can also use curtain tension rods in cupboards, preferably installed vertically for easier organization. Towel rods can be used to hold pot lids in place. A hanging basket or a fruit hammock saves you some valuable countertop space and arguably gives you evenly ripened fruits. A sink rack helps free up the counter space, bonus points if it is roll-able. An over-the-sink shelf is also just as useful. Suction cup hooks lets you hang more kitchen items without have to drill holes in your RV. For spices, a fold-out spice rack mounted underneath the cabinet or dangling mason jars with lids screwed into the cabinet ceiling are more than efficient. They offer an inexpensive storage solution for spices and saves up a lot of counter and cabinet space. Alternatively, you can go for spice gripper clips that can be mounted on cabinet doors or wall. Catch-all spices are a great space saver as you don’t have to use individual containers for each spice. Fast food restaurants offer free condiments so feel free to stock up on these as they will take up less space in your kitchen. Depending on the design of your RV interior and more so the kitchen cabinets, you may find it useful to go for tall and slim containers for maximum use of the available space. Always go for airtight square-shaped canisters instead of round ones, as the former maximizes storage use and guarantees less collisions with each other when on the move. Wall-mounted dry food dispensers can also greatly maximize your cabinet/counter space. A trash can will take up a lot of space if placed on the floor of your RV. Opt instead for a door-mounted trash can, well fitted on the inside of the kitchen cabinet door. It will save you some space and will be out of the way when not in use. If you still prefer a bigger trash can placed on the floor, use bungee cords and eye hooks to hold it against the wall. This will be necessary for when you are driving your RV. A collapsible RV trash can is also a great space saving solution. Storage bins are essential for a hassle-free RV lifestyle. You can use them in drawers, cupboards and outside storage bays. Simply label them for extra convenience. Unused closet space can be turned into a cupboard by installing two or three shelves thus freeing up your kitchen space. Other organization tools include pan organizers, Lazy Susans, magazine racks and shower caddies. A pan organizer is excellent for your pans and bake ware. Lazy Susans make for easy access of kitchenware in cabinets while magazine racks hold your cans in place. Lastly, shower caddies installed using command hooks makes up for the perfect storage for produce. The living area is center for all your family conversations, games and entertainment. Thus the need to organize the area and keep it more open. Hooks! Hooks! Hooks! You will need every hook you can get from shelves with side hooks to door catch hideaway hooks, for hanging coats and a lot more. Command hook curtains offer a temporary but convenient fix as you don’t have to drill holes into the frame of your RV. It offers an easy way to hang your curtain rods and curtains. After a long drive, your body will require some time to recuperate some energy. A Velcro blackout curtain is very helpful when you want to have your afternoon siestas plus it lessens the need for more curtain rods. Keep misplacing your remotes? Use Velcro squares to hold your TV remote in one spot. Place your flashlight by the door using broom holders, held by command strips. Peel and stick cord organizers help keep your cords in order and out of the way plus no holes needed. Place a container close to the door to drop your everyday things like keys, sunglasses, dog leashes and so on instead of dropping them anywhere. Collapsible ottomans, canvas crates, baskets, storage bins and under furniture storage containers boosts on the overall interior décor and offers the much needed storage for items. Coat closet or a coat rack can be used for storage of jackets and hats whereas improvised PVC shoe racks, shoe bags and shoe cabinets (IKEA Trones) will keep the shoes away from your living space. Tension rods also offer a lot of storage space for shoes, spray bottles and even baskets for extra space. Spacing saving tips for the bedroom are fairly limited except for under the bed storage. For travel trailers you can make use of the bunk bed space by remodeling it into an RV closet, extra storage or a home office. A headboard storage can also provide some storage room for small items. A caddy night stand or portable filing folder bag are a few organizational tools you can use to make your bedroom storage more efficient and clutter free. Folding clothes before placing them in folders can also go a long way in Folding clothes before placing them in folders can also go a long way in decluttering your RV space. Proper use of baskets, pull out drawers and hanging shelves are also great solutions. Wall netting for storage of various items also helps in maximizing your bedroom space.. Proper use of baskets, pull out drawers and hanging shelves are also great solutions. Wall netting for storage of various items also helps in maximizing your bedroom space. Put your extra blankets, clothes or pillows in vacuum-sealed bags before placing them in your bed storage. The compression makes a big difference in terms of saving space in the long run and keeps them nice and fresh. Maximize your bed frame storage by placing shoe organizers on it. Hangers with a flocked design and a velvety material save on space and prevent clothes from slipping of off them unlike metal ones. Cascading hangers go exceptionally well with blouses and sweaters and saves up on horizontal space in the RV closet. Multi-level clip hangers and multi-pant hangers are other closet space savers for use on shorts/skirts and slacks respectively. In place of extra drawers or bins for your belts, bags cardigans, and tank tops, go for belt rack hangers instead. Tie hangers are also great for ties and scarves. 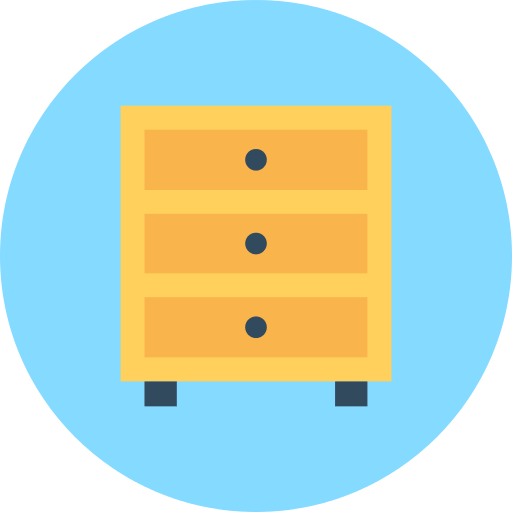 Plastic or fabric drawers help utilize the unused bottom closet space, it is a good practice to measure the space to ensure the drawers fit perfectly. Stackable storage bins are also a good alternative to drawers as you can easily stack up as many as you need for your RV closet. Screw or stick-on hooks inside the closet door can offer a convenient spot for your daily clothing items like scarves, ties or other accessories. Alternatively, you can add wire baskets to the inside of the closet door perfect for storage of small items like socks and underwear. Hanging Cubies and shower caddies are also good alternatives. Undoubtedly, a little organization will go a long way in making full use of your closet space. Hanging organizers, cube organizers, shoe organizers and wire shelves offer a quick solution to this challenge. They come equipped with drawers and are adjustable to your closet needs. To implement some of the aforementioned RV closet storage ideas, may require a little handiwork for instance installation of tension rods or command hooks. If a bathroom cabinet is present in your RV, organizers, shelves and containers can help in managing the space more effectively. Custom shelves tailored for under the sink space provide extra storage room for bath supplies. Hanging shelves, over-the-toilet baskets, side by side shelves and repurposed coffee cans as toilet paper holders are a few ways you can make use of the round-the-toilet-seat space. Flat toilet paper holders, towel racks, shelves are a few of the space saving solutions you can apply for your RV bathroom. Shoe organizers and color coded towels also come in handy in organizing towels especially if you have a big family. You can also install an extra curtain rod to hang bathing suits and drying towels. Many RVers use IKEA Bygel containers to store toiletries. These wall-mounted plastic containers are small in size and can be used to store personal items like combs, toothbrushes, shaver and shaving cream etc. A towel caddy hang on a shower rod is a good option to hold your bath supplies or you can replace it fully with a soap dispenser. Shower pocket organizer, stick on baskets, DIY coat hanger toiletry holder and wall-mounted spice racks makes for perfect storage for hair sprays, hair gels among other toiletries. Storage pods stuck on the inside of medicine cabinets with command strips can also make great toiletry holders. Creams, ointments and other first aid items can be held in place by stapling an elastic band around each of them. A magnet board is excellent for small items like bobby pins, nail polish, makeup kits. Simply attach small magnets on the backs of the items and stick the items by their backs on the board. Command hooks are easy to hang and can be used to hang a hand towel, curling iron, hair dryer and hair straightener. Collapsible laundry basket can be collapsed in between uses and stored away in a compact form out of the way. A backpack design laundry bag or a hanging canvas basket offers a good solution to store laundry. Essentials like hoses and power adapters, will occupy considerable floor space in your recreation vehicle. To save on some space hang RV hoses using nylon Velcro strips or get a mesh bag for the hose. Reuse grocery bags to store cleaning supplies and mount your electrical adapters to the wall for convenience. Broom holders and brackets can be used to hold umbrellas, brooms and fishing rods among other supplies to the outside storage ceiling. Over-the-seat organizers, inside-the-door storages and pull-out surfaces all offer convenient space saving solutions for a more fulfilling RV experience. RVs are synonymous with camping and the outdoors. Make the best out of your RV camping trip by following up on the above hacks. Fulltime motorhome owners can attest to their effectiveness and so will you. No more worries about pest control in your campgrounds or breakages while in transit.